Amy's prepping for her next launch on August 24 at noon Mountain Time, all but the LE polish will remain stocked. The LEs will be available through September 8. 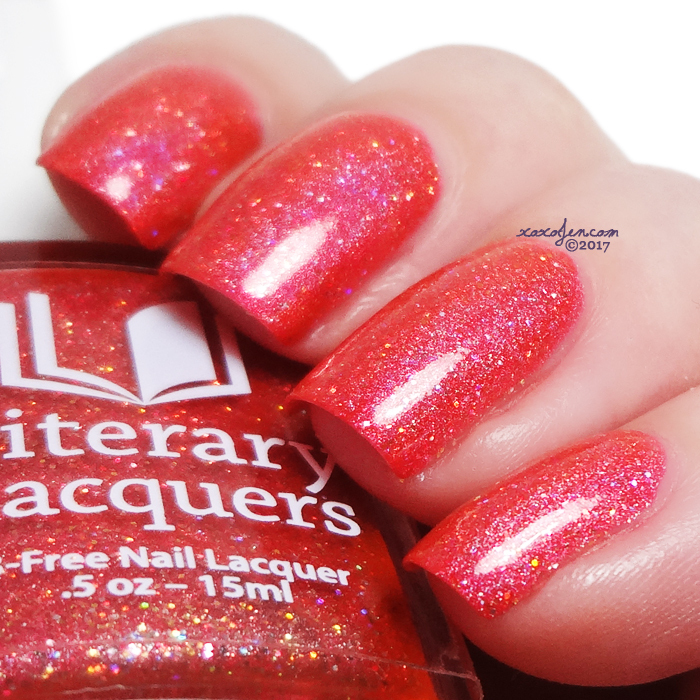 Unspeakably Desirable is Amy's birthday polish which is limited and will be numbered. 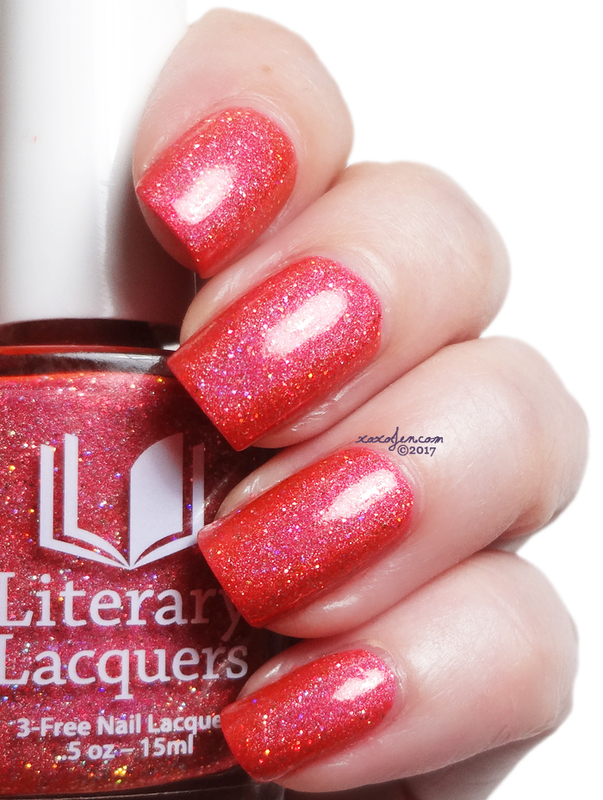 It's a bright coral mega glitter holo with copper, gold, and rose microglitter. 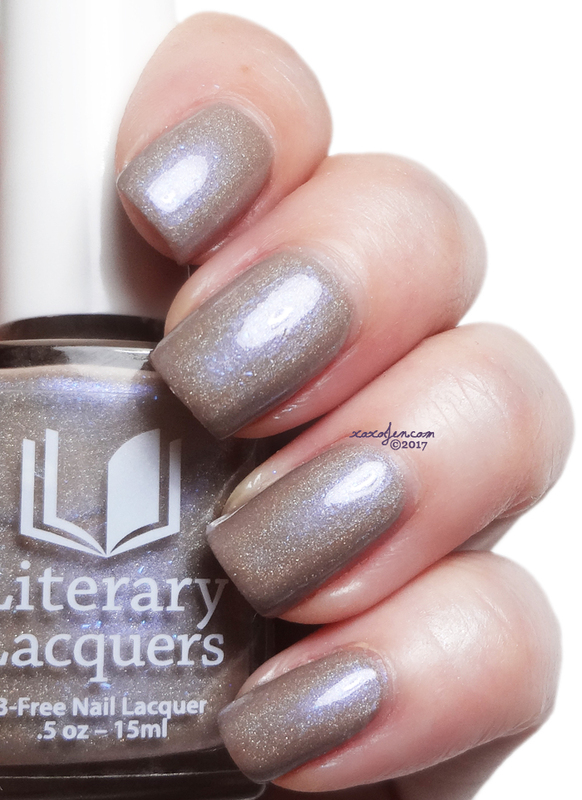 Thousand Different Strokes of Light is the Book Club LE polish. “In our world of shadows, there is no black and white but a thousand different strokes of light.” from The Museum of Extraordinary Things by Alice Hoffman. Designed and named by Sharon Wood. I wore two coats of each polish above, formula was flawless, removal easy. 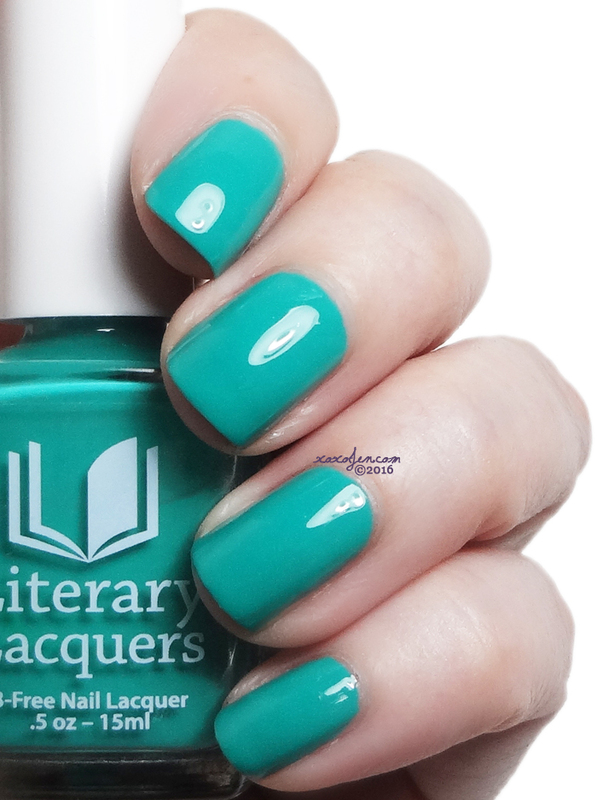 How do you feel about these beautiful polishes? 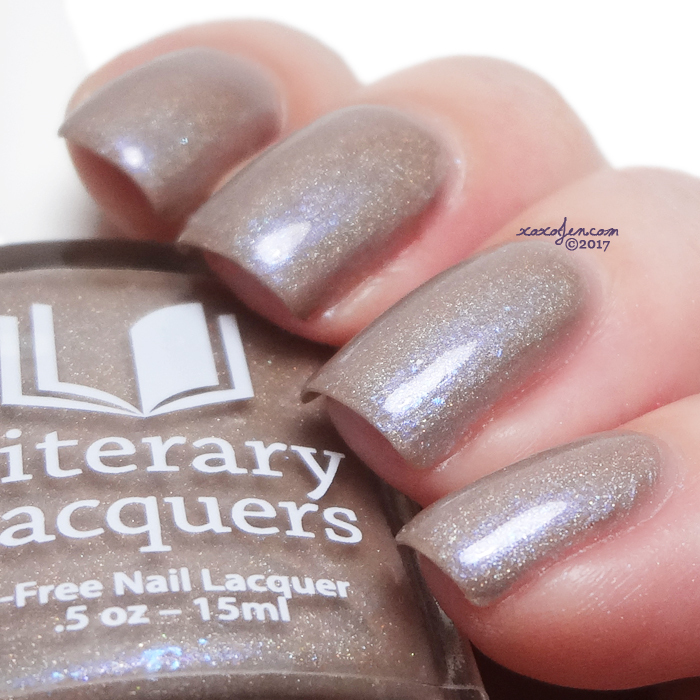 Get yours at the Literary Lacquers shop! Stunning pictures of beautiful polish!